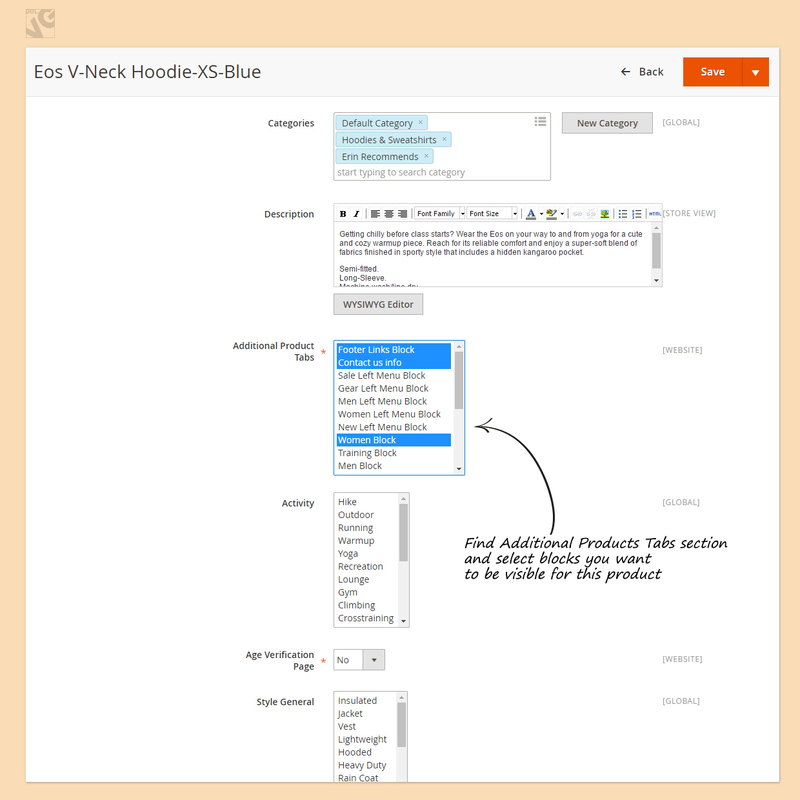 The Simple Product Tabs is a useful module to expand your page product description abilities. 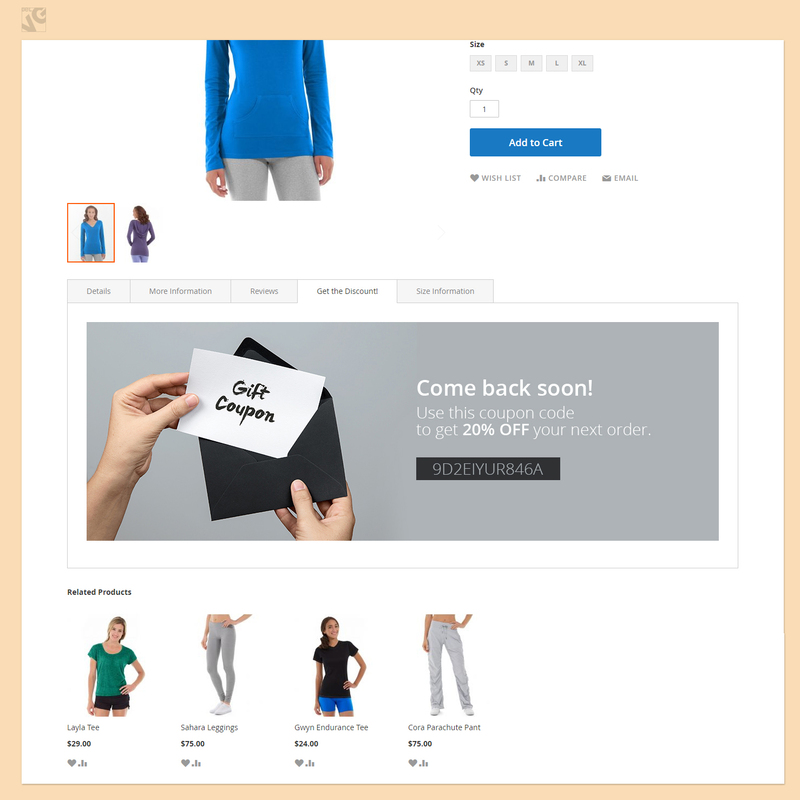 By default Magento offers only three standard product tabs which are sometimes not enough to cover all the necessary and useful information about your products or web-store or when you need to make your product page look more informative, unique and user friendly. With the help of Simple Product Tabs you are able to create any number of new tabs of any type. 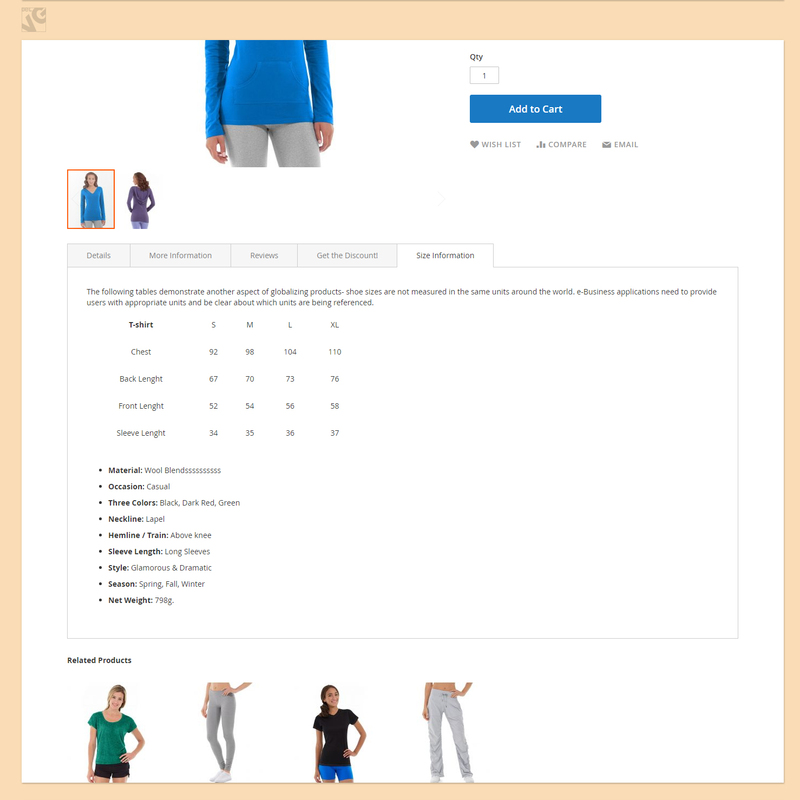 The tabs are created as standard static blocks through the Magento admin panel and the extension allows you easily assign any number of such blocks to any number of products within just a few clicks. Easy to define the name of the tabs that are visible on frontend. Log into the Magento 2 admin panel and switch to Stores – Configuration. 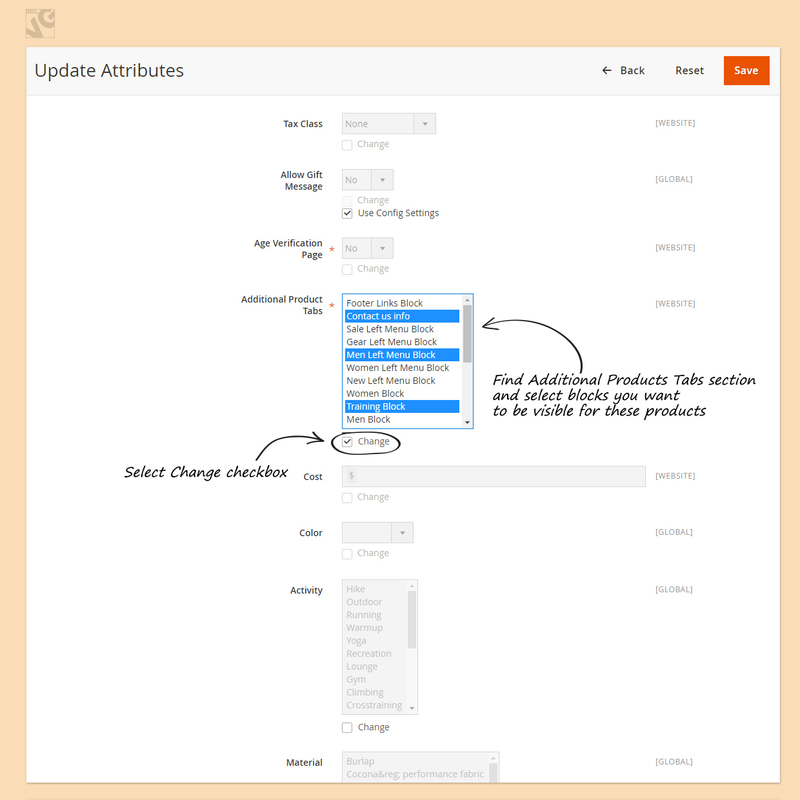 Under BELVG EXTENSIONS find and enter the Simple Product Tabs module settings. Here you can enable/disable the extension. 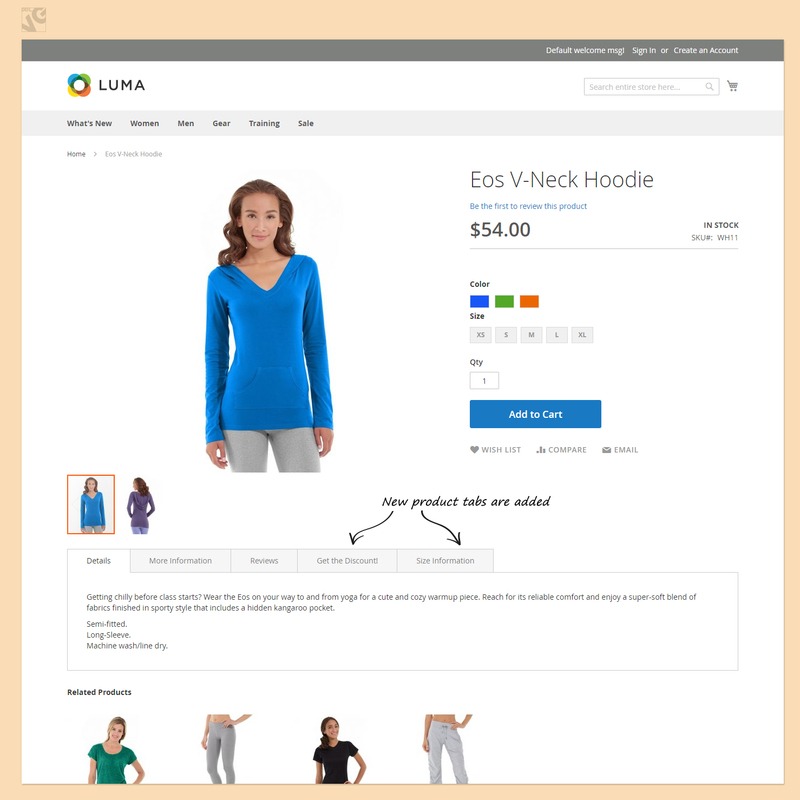 The Simple Product Tabs module uses standard Magento static blocks as additional tabs for product pages. To create such a block, log into your Magento admin panel and go to the Content – Blocks section and click the Add New Block button. 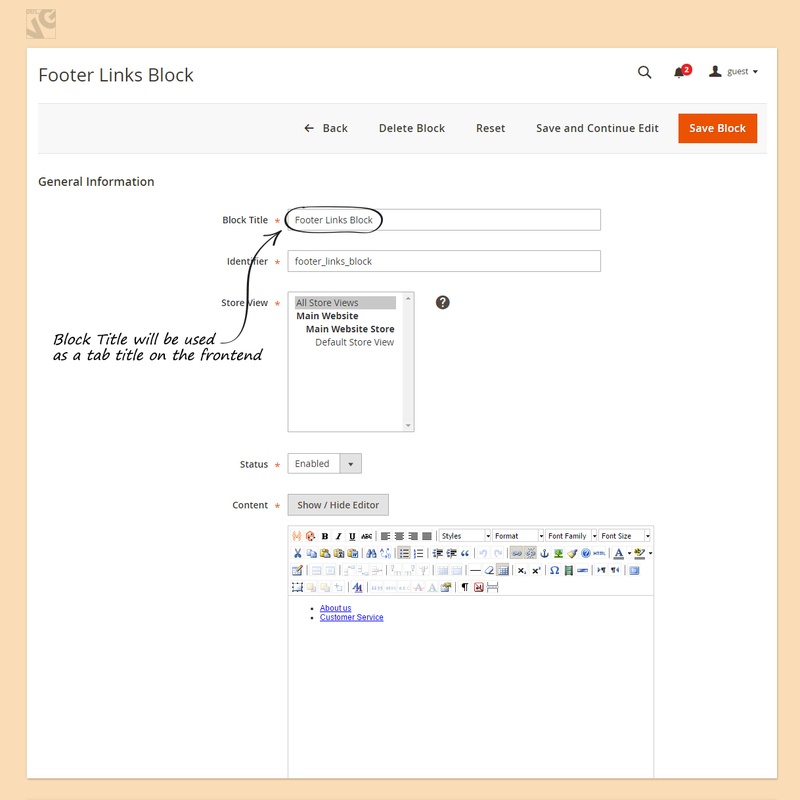 Note, that the Block Title option in the static block settings will stand for the name of your product tab on the frontend. Once static blocks are ready, it is time to assign them as additional tabs to product pages. This menu lists all available static blocks. 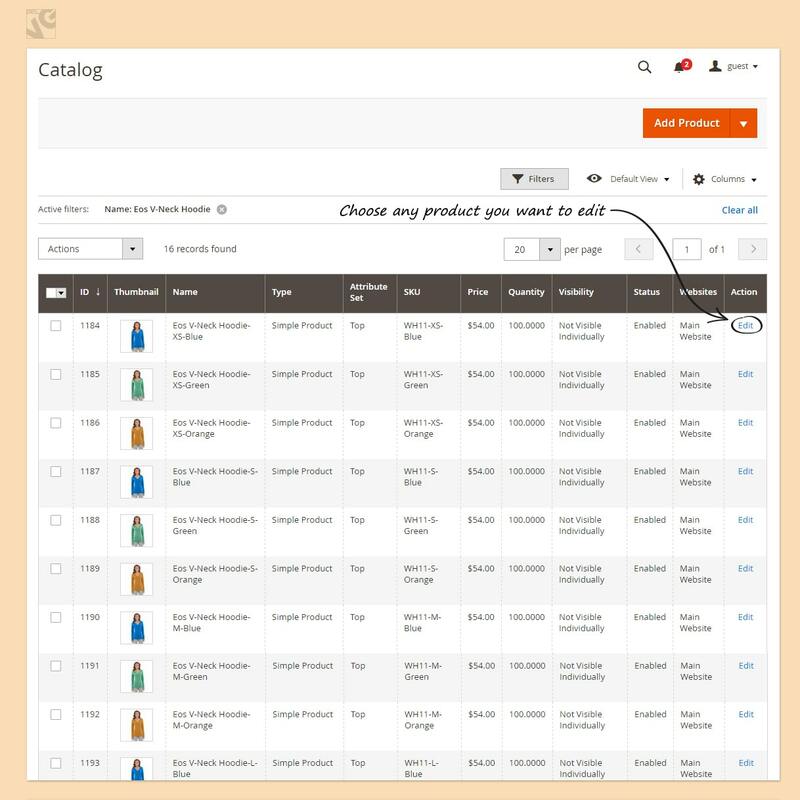 Highlight those that should be output as additional tabs on the product page and click the Save button. 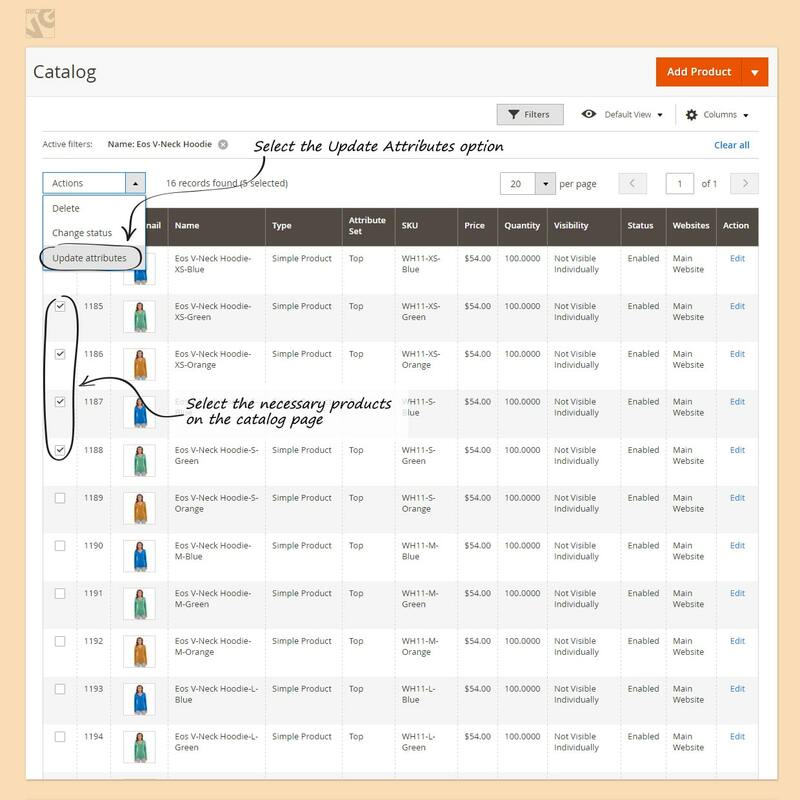 If you have one or several tabs with some general information that you want to be available for all products, you do not need to edit every product separately, but may assign these blocks to any number of products at once. 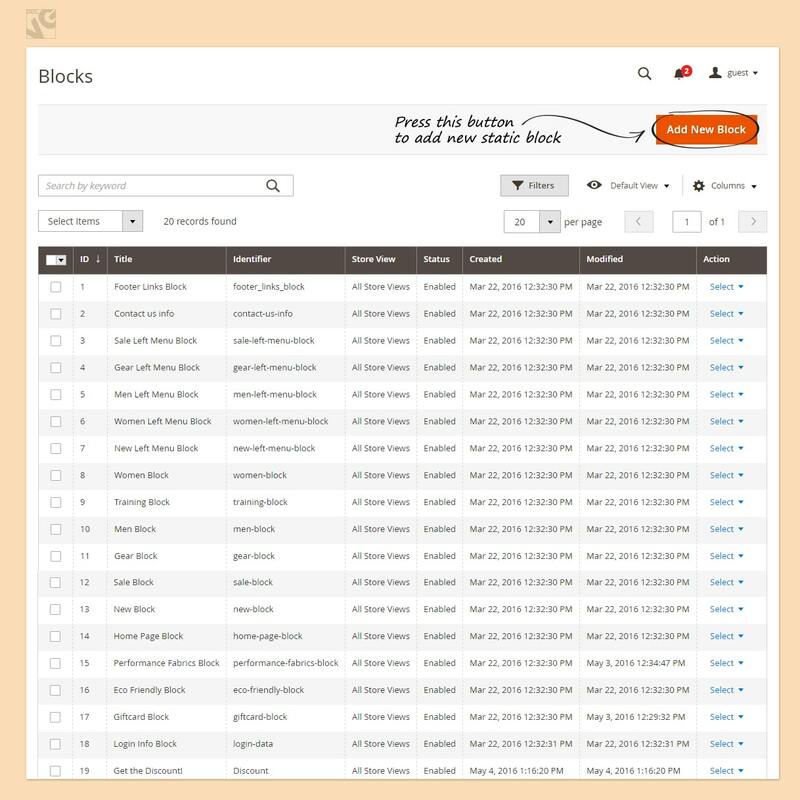 Now, once we have assigned and distributed static blocks across your products, the product pages will display these blocks as additional tabs where you can provide any sort of content you like. The tabs are edited and managed through the admin panel the same way as any other default static block in Magento 2.0.